Ageing naturally causes wear and tear on joints and brings pains and aches. Knee and hip joint pains are the most common among them. Knee replacement is opted when the knee is severely damaged by arthritis, especially osteoarthritis or by some external injury and the pain is unbearable. Other common reason these days is Obesity. As the body weight comes on knees, people with obesity are frequently witnessing pain in knees at an early age of their lives. The very first Knee replacement surgery was conducted in 1960’s to get relief from knee pain. Earlier the success rate of Knee surgery cases were not 100% and people were quite scared to go for this. Only the old aged people opted for operation and that too when they were bound to wheelchairs. But now with the advancement of technology, the methods of performing the surgery have changed drastically and the success rate is even 100%. People these days no more wait for knee to stop making any movements and go for surgeries when the doctor recommends. The option of surgery is no more limited to old age people. The success of every operation and surgery completely is in the hands of the doctor performing it. So, it becomes important to choose the doctor wisely. Dr. JS Kohli carries years of experience in carrying successful knee replacement surgeries. Latest instruments that tell the orthopedic surgeon where to cut to place the implant in correct location with the minimum soft tissue damage are used by Dr. JS Kohli. Correct implant sizes are used to give maximum comfort to the patient. He is working with renowned hospitals in North-India to perform surgeries on their patients owing to his great experience. 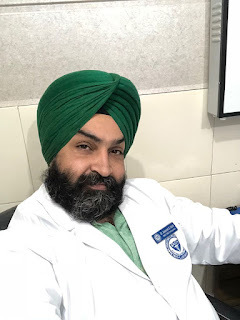 If you have any query related to knee pain or knee surgery, feel free to ask by leaving a comment and get an expert advice from Dr. JS Kohli.